When new java objects are created they are allocated memory in the java heap. 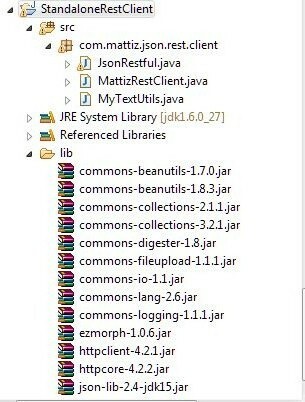 Once they are no longer referenced by other java objects they may be garbage collected and memory is returned to the heap. Xms and Xmx are java switches that allow you to manipulate memory allocated to the heap. There are two different types of heap – the new generation heap where new objects are allocated memory and the old generation heap that accommodates objects that have been in memory over a longer period. Perm memory is memory allocated to objects that have been loaded into memory through the classloader and will be removed from the perm memory only when the classloader is garbage collected. which will provide information on the garbage collector, objects garbage collected, etc and is used to fix garbage collector problems. A memory leak may be fixed by analyzing the logs from the above command. Calls to Runtime.gc or Sytem.gc() should not be explicitly made. Note that threads including the JVM are paused when the major GC runs. Minor GCs do not cause the JVM to pause, but to some extent it is okay, as long it doesn’t cause noticeable slowness. Java heap dump and thread dumps can be used to produce a stacktrace of the heap/ running threads. The stacktraces look similar to an exception stacktrace. Connection leaks are more difficult to detect since we may not know exactly where in the code a certain connection was not closed. This may be analysed by generating heap/ thread dumps using use case by use case. Sometimes a memory leak/ application slowdown / hangup, may be difficult to find after it has been fixed. In that case one should enable GC logging / heap/ thread dumps tracing so that the next time this happens the cause is correctly found. If a thread dump shows too many threads running it may indicate a reason for application slowdown. Thread dumps are mostly to find what the JVM is busy doing. If we see an unusually high number of threads such as more than 300 or so that means the JVM is working too hard on something and then you should look at what these threads are doing. If you see a lot of threads stuck on reading from the db that indicates db slowness. If you see too many threads servicing Servlet requests that means the JVM is overloaded with too many users. Sometimes it helps to take thread dumps a few minutes apart and compare the two thread dumps to see if threads are moving along or stuck. If thread A in dump1 is doing the same thing in dump2 taken later, then it’s taking too long; usually you should be able to see it moving along and do different things. It’s ok to have long running threads as some threads are by design supposed to be long lived e.g. you can have a pool of threads to consume JMS messages. Those threads will be alive for a long time and will be reused over and over again. So that’s normal as long as they don’t hold big objects for a long time, it’s not a memory leak. There is a common misunderstanding of how servlet instance variables work. Let’s consider a Servlet, say the Controller Servlet in Struts(Action Servlet). At any given time there is only one instance of this Servlet. This Servlet is multi-threaded so it does not have state. State in the sense it has no instance variables with values. Many requests can be serviced by this Servlet by running multiple threads on the same instance. Instance variables can be declared in a servlet but these variables are shared by all threads. No single thread can rely on using the variable for itself, so threads can never depend on the value of an instance variable of a Servlet. This Servlet passes control to handlers say Action classes in Struts. There are multiple instances of these action classes with their own state and these action classes are not multi-threaded in that sense. There is one multi-threaded Servlet and multiple handler classes running on different threads. One multi-threaded Servlet can create new action-class instances which are dedicated instances. Create two projects namely AxisServerExample and AxisClient example. Download the Axis installation and add the jars in the lib folder of the installation to the lib folder of the Server project. 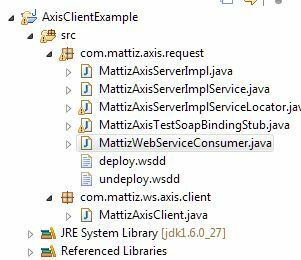 Implement MattizAxisServerImpl.java in the server project. Run the following two commands from the command prompt to use the java2wsdl utility to create the wsdl from the java class. This will generate the wsdl file from MattizAxisServerImpl class in the resources folder of the Server project. Run the following from the command prompt to use the wsdl2java utility to create the java client classes and deploy.wsdd from the wsdl file. 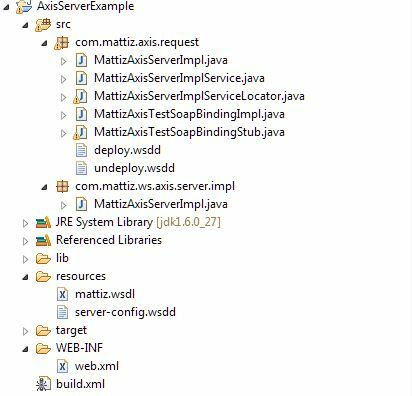 deploy.wsdd is created in com.mattiz.axis.request folder along with web serice client stub classes in the Server project. Start tomcat and run the following from the command prompt to use the Apache Admin Client to generate your server-config file (wsdd). server-config.wsdd is created in the axis deployment in tomcat in the WEB-INF folder. Copy this to resources folder under Server project. You are free to delete the axis installation in webapps of tomcat after this step. Copy web.xml from the axis distribution at axis-1_4/webapps/axis/WEB-INF to WEB-INF under Server project. No changes are required to this file. Run the following build.xml which creates the server side web service war file – mattiz.war. Copy mattiz.war to tomcat and start tomcat server. Run the following url on a browser to view the wsdl file. If the web service is successfully created you will see a xml version of the wsdl file. Copy contents of com.mattiz.axis.request package to the Client project. Exclude MattizAxisTestSoapBindingImpl class. Add activation.jar and javamail jars to the classpath of Client project in addition to the axis jars in Server project’s lib folder. Message Hallo Matty to the World of Axis! For our purpose we don’t need to add any other dependencies. This may not be the case for complex functionalities such as parsing an xml file. 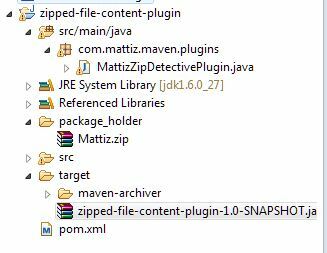 Goto MattizCustomPlugin/zipped-file-content-plugin folder on command line and run mvn eclipse:eclipse. This will create an eclipse project for you. Import the eclipse project into a new workspace. This defines the plugin goal. Create a package called package_holder under root of project and place a zip file with arbitrary content called Mattiz.zip here. The command line will list the contents of Mattiz.zip.